Does anyone else feel like Christmas crept up so quickly this year? Perhaps I just feel that way because the past month was extremely hectic & sleepless, but incredibly exciting! And now I am so thankful to have time off from school to be with loved ones and have a moment away from the busyness of life to ponder the true Reason for this season. It is because of Jesus that I can live out a story full of hope, joy & for a greater purpose! This week I am excited to be cohosting the Style Me Wednesday Linkup with Liz from Shopping My Closet! Today's outfit is one that I put together with Christmas in mind. This year I thought I'd wear something different for Christmas. I decided to stick to the traditional Christmas colors, but with some fun prints mixed in! Leopard print has been my favorite print to wear this season. It's funny how a print you kind of (really) disliked before grows on you overtime - kind of like a vegetable you hated as a kid grows on you when you get older! And it just so happens that my new print obsession goes well with the classic tartan print I've always loved. 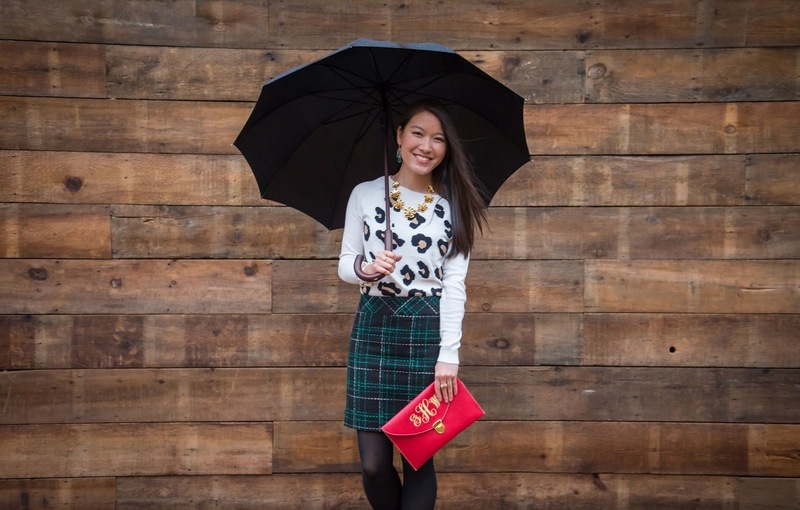 I love this versatile monogrammed clutch from Benevolent Jewels! Get your own for 20% OFF with special discount code: JHCODE20! Clutch: Benevolent Jewels -- Use code JHCODE20 for 20% OFF!! Hi! 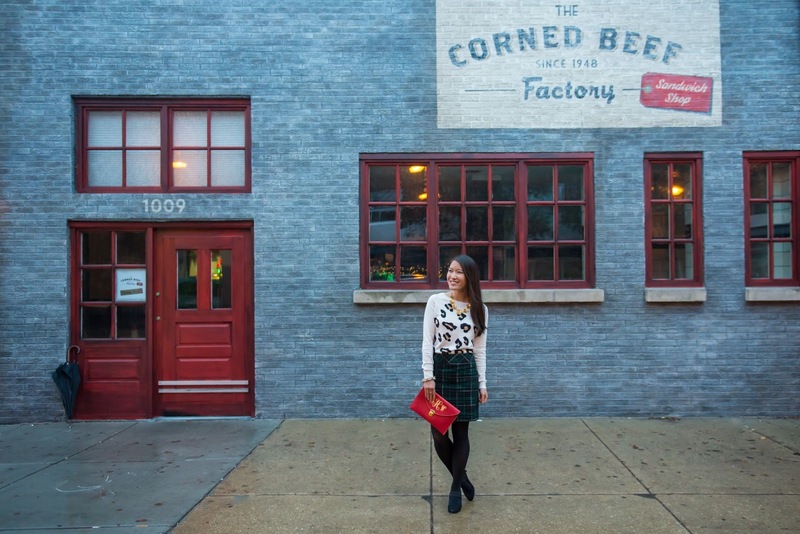 Meet Liz, the blogger behind Shopping My Closet. Her style approach mixes high and low, dresses up closet essentials, and pairs the timeless with the current. Follow her as she illustrates how you can have an on-trend and timeless look by incorporating the items already in your closet into a stylish everyday look. You can find her on Bloglovin', Instagram, Facebook & Pinterest! 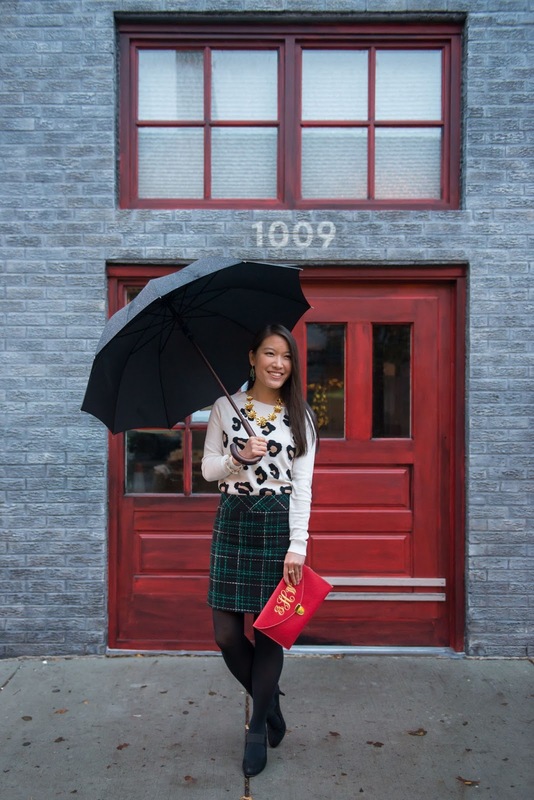 Welcome to the weekly Style Me Wednesday fashion link-up! The Style Me Wednesday fashion blog link-up goes live every Wednesday and is meant to be a venue for you to showcase what you're wearing or a favorite look. 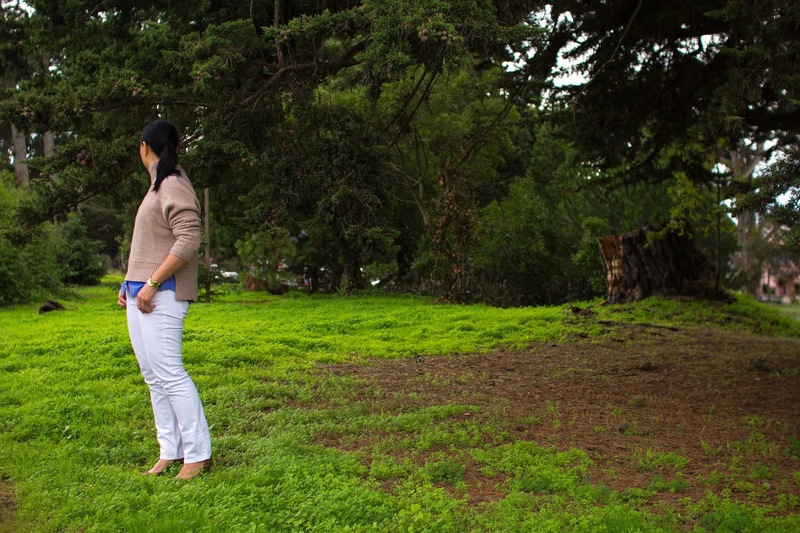 It's the perfect opportunity to discover new bloggers (and friends!) and styles. 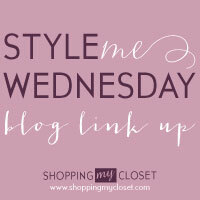 Simply follow the steps below to join Style Me Wednesday fashion link up! Love how you mixed those two patterns together! It looks very cute! Thank you so much! :) Hope your Christmas is merry & bright! Love this outfti! And love that you talked about finding the greater purpose in the holiday chaos -- it's such an easy thing for people to forget but is so important!! Love this and love you! Disappointed about your "similar" pieces. They really aren't that similar, especially the top. Maybe just tell us the real pieces you are wearing?? Otherwise what's the point? Don't show an outfit that your followers cannot access. Unfortunately, all of these pieces are so popular that they have recently sold out, so I could only share the brand names. I try to find pieces that are as similar as possible when this happens and if you scroll through you can find some more options :) Have a merry Christmas! Hi! I just went to my local Loft outlet store and they still have a few of these skirts left :) Happy shopping!! What a beautiful skirt and sweater Grace and I love how you mixed prints. A very stylish Holiday Look! I'm loving the leopard print with the tartan skirt. The patterns complement each other and you look so chic and stylish in it! Very cute! 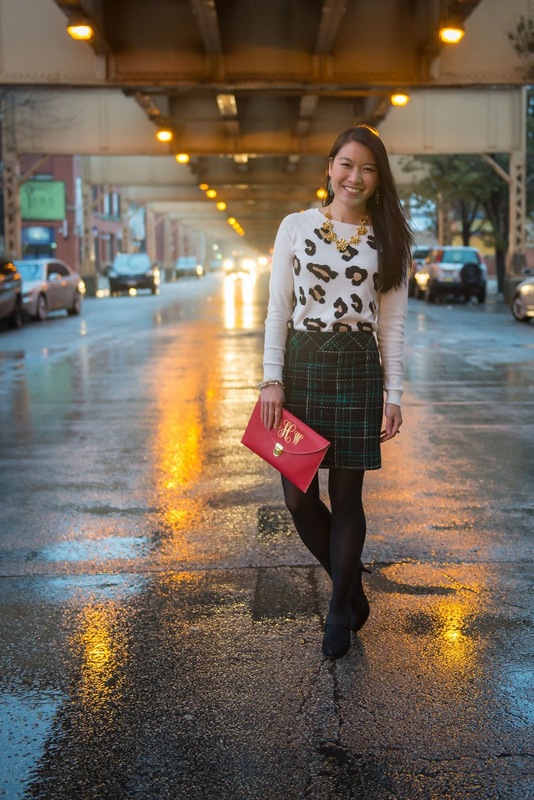 you "wild" tartan style is eye-catchingly gorgeous! I'm so in love with the plaid skirt, stylish and cozy!